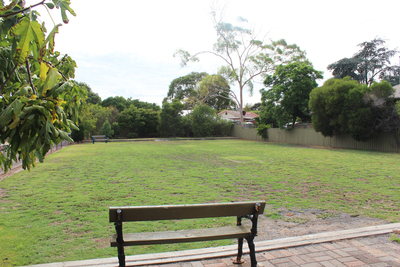 Millswood Park is a pretty uninspiring spot if you've got a bunch of kids pining for a playground. There's not much here other than small patch of grass and a solitary bench. There is one thing here that makes the park lots of fun during summer. There's a large fig tree here that hangs over the fence. 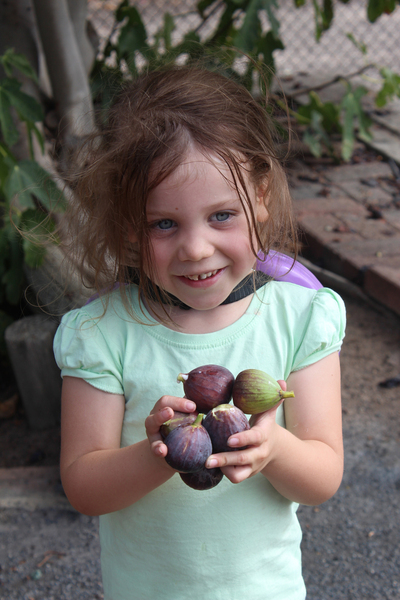 During most of the year it's nothing special, but during summer when figs are in season picking figs is fun for everyone. We managed to find a few plump purple figs hanging off of the branches, they were sticky and sweet, and we plopped a few in our mouths straight from the tree. Even the 4-year-old liked them. 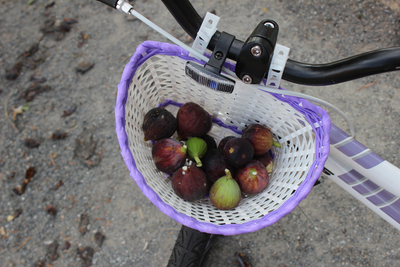 There were lots of ants crawling over the tree, so we got a few on our hands, but the juicy figs were worth it. 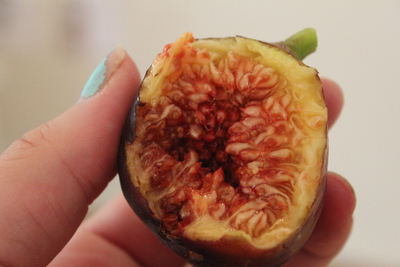 You do have to watch the sap, it's the milky white stuff you see oozing out when you pick a fresh fig. It can actually be quite irritating to the skin. There weren't any low hanging fruit that the 4-year-old could reach, but we managed to get a few to take home. 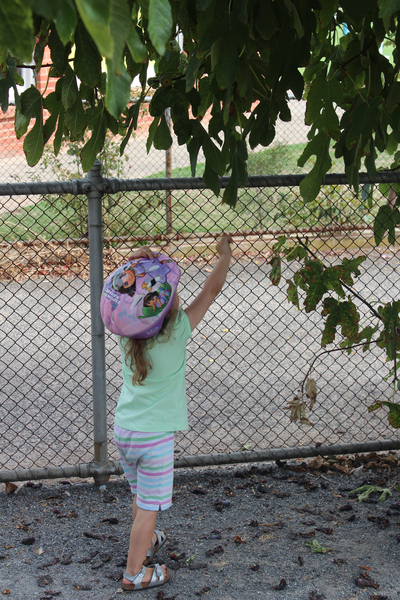 She'd ridder her bike, so we just put them in the basket to wash once we got home. 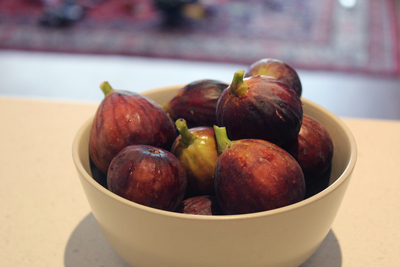 There were still plenty of plump purple figs when we left. 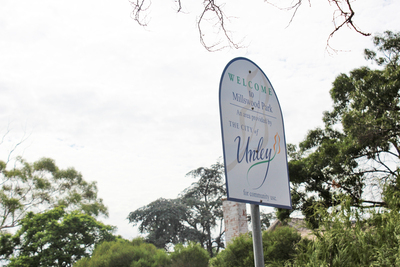 If you do plan on sticking around at the park for a little bit longer, bring along a ball or a cricket bat. There's not much else to do. Fresh Figs can be used in salads, desserts, or anything you want to add a sweet touch too. I even put half a fresh fig on top of my fig cupcakes (I use fig jam to make the cupcakes), they look as good as they taste. Have you ever gone picking fruit with your kids?